We spotted this tree carving while visiting family over the 4th of July holiday. 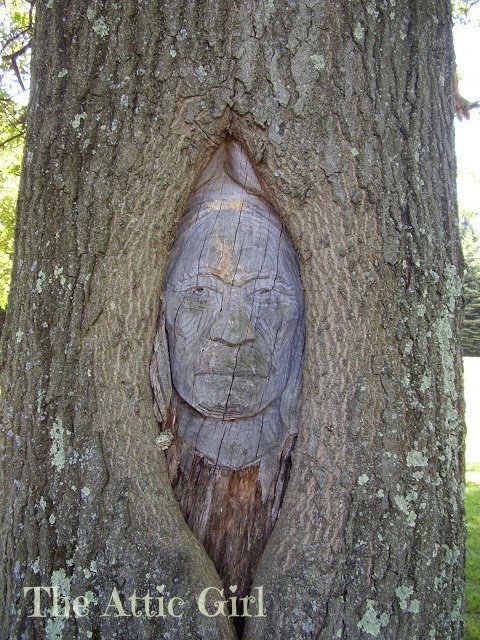 9 comments on "Wordless Wednesday: New Friend"
Cool tree carving! My kids have seen those tree face kits and they want to get one for our tree. That is so cool. I totally want a tree like that in my backyard! That's so neat! Happy WW! That is so cool, love the face. What a great find! Amazing!